Twenty more turbines will be put up at the wind farm in the municipality of Sibunag in Guimaras. Construction starts next month. With each new turbine generating 2 megawatts (MW), 40 MW will be added to the wind farm’s 54-MW capacity. Despite the building of new windmills in our home province and throughout the archipelago, why does the Philippines have the 5th highest cost of electricity in the world? “The turbines will rise in barangays Bugnay and Sabang in Sibunag,” said Edwin Gallego, plant manager for Trans-Asia Renewable Energy Corp. (Tarec). Gallego said the demand for power will never decrease, so the expansion is timely. “The Philippines is developing the power sector, and it must catch up with more power plants,” he said. Tarec’s 27 wind turbines in San Lorenzo supply power to the Visayas grid through the National Grid Corp. of the Philippines’ (NGCP) 27-kilometer submarine cable passing through Guimaras Strait to NGCP feeder in Santa Barbara, Iloilo. Tarec was the only wind project that has received its final certificate of approval to connect to the grid from NGCP, said Trans-Asia Corporate Communications chair Danielle del Rosario. The Philippines has the 5th highest electricity costs in the WHOLE WORLD! No wonder even Filipino Chinese tycoons are moving out of the Philippines to put up their factories in China, where electricity rates are nearly a third of the Philippines. Have you noticed that even shampoos and toothpaste are now made in Thailand and Indonesia? Electricity in Thailand costs nearly half that of what it costs in the PH, in the cost of electricity in Indonesia is only a fifth! 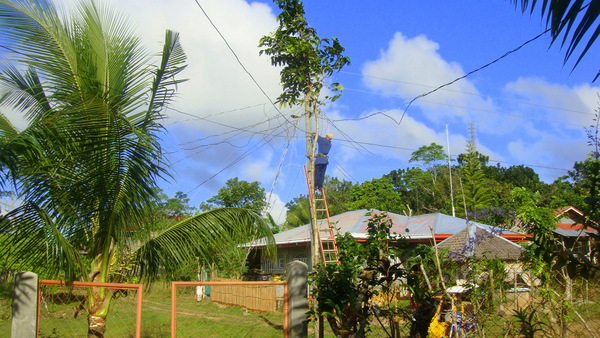 The Philippines also has the highest electric rates in all of Southeast Asia. Guimaras, the island province we call home, has the highest electric fees in all of the Philippines, ranging from 28-33 cents a kilowatt hour. That’s about three times the average cost per kilowatt hour that it costs in Illinois, where I retired from, according to the U.S Energy Information Administration. WHY DOES ELECTRICITY IN THE PHILIPPINES COST SO MUCH? A 2014 article by Rigoberto Tiglao in The Manila Times gives an explanation for the high cost of electricity in the Philippines. The 1973 oil global crisis was threatening to throw a monkey wrench into Marcos’ plans for a lifetime dictatorship, so Marcos was determined to put up a nuclear power plant. The dictator was relying on a nucelar plant to supply the country’s electricity demand in the 1970s. When the project was finished in 1984, it cost $2.3 billion, four times the original estimates. But it was his successor Corazon Aquino who made it an albatross around the Philippine neck that’s been a major reason for the high power rates in the Philippines, according to the Times’ article. With the April 1986 Chernobyl disaster used as a horror story, and since the anti-nuclear activists in the archipelago were in the anti-dictatorship movement, Aquino ordered the plant mothballed — even as several experts gave the go-signal for its operation. She did not work to have replacements for its 620 megawatt capacity put into place. US private and government loans were used to finance the plant. US officials quietly told Aquino that if she repudiates the nuclear-plant loans, the country would not only be a pariah in the global financial community, but that the US would not lift a finger to stop the attempts to topple her. “We don’t owe the cheats,” Cory then boasted. It was twenty-one years later, in 2007, that the Philippines made its final payment on the loan. It spent P120 billion in principal and interest charges for the plant that never produced a single kilowatt of electricity. This was P120 billion that could have been used to finance the building of a dozen conventional power plants to supply the country’s electricity demand throughout the 90s. While the loans were later on transferred to the national government, these were carried for many years in the books of the state-owned National Power Corp. (NPC) — putting it yearly in the red, which prevented it from borrowing to finance new power plants. As a result, demand outstripped supply throughout Cory’s watch, and long hours of brownouts became routine in the country, discouraging foreign investments. Cory’s successor President Fidel Ramos wanted private companies to go into the power generation business to supply the electricity, reversing the Marcos policy of having solely the NPC to build and operate power plants. The NPC — because of its payments for the nuclear power plant loans — was technically bankrupt, and therefore could not borrow from the market to finance the building of new plants. The corporate elite in effect blackmailed Ramos, justifying their action on grounds that they would have to be assured of profits before they go into that business. Thus were instituted what got euphemistically called “take-or-pay” arrangements with the “independent power producers.” These arrangements were in reality a capitalist dream of a risk-free business: The NPC committed to buy the power generation capacities of these private generators, even if NPC doesn’t need any electricity, i.e., when demand falls, and therefore the generators would not have to spend money to produce electricity. It seemed a good deal until the 1997 financial crisis hit. It slowed down the economy, and therefore demand for electricity. A new euphemism was invented: “stranded costs,” or the power NPC bought from the private power generators, which it couldn’t sell to utilities. By 2010, these costs — “stranded” in the NPC’s books, and no way to recover it unless raising future tariffs — had ballooned to P80 billion. After shedding off the nuclear plant debt-albatross, the NPC was again deep in the red because of these stranded costs. 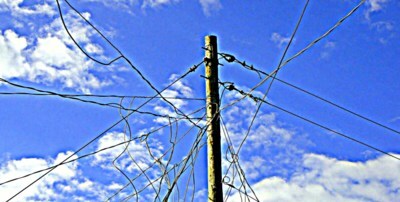 For various reasons, including the fact that there was a privatization rage in developed countries at that period, which our US-educated technocrats aped, the Philippines junked the policy — as continued in China, Thailand, Malaysia, and Indonesia, all of which have electricity tariff much lower than the PH — of a government- controlled power industry. Capitalism — private sector funds and expertise — would take care of this public good that is affordable electricity. A so-called market for power was set up, the Wholesale Electricity Spot Market (WESM), and far from being a “spot” market because most of the transactions are bilateral deals. 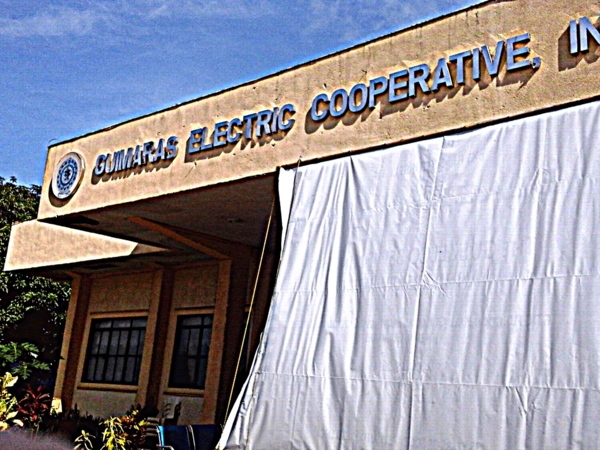 Private companies build and operate the generators; the power is transmitted by a private company (the National Grid Corp., a joint venture of a Henry Sy scion and a Chinese firm) to private companies (the biggest of which is Meralco), which distributes the electricity to the final users. The Philippines has a power industry controlled by the country’s big business. Indeed, it has been such a profitable business that one of South Asia’s biggest tycoons, Indonesian Anthony Salim, in 2010 bought, through several firms he owns, into the biggest electric distribution company to control it, Meralco. The distribution firm has become one of Salim’s biggest money earners, its core net income rising from P2.6 billion in 2008 to P16 billion in 2012, and a forecasted P17 billion last year. Meanwhile, power prices have steadily gone up since the private sector came to control it. Filipinos (and the expats living here) now have the highest electricity bills in Asia, and the fifth most expensive in the world. Tagged archipelago, barangay, Bongbong Marcos, brown outs, Cory Aquino, cost of electricity, electricity, nuclear power plant, philippines, philippinesplus, power plants, President Fidel Ramos, Trans-Asia Renewable Energy Corp. I don’t pretend to understand the politics or business dealings behind this. I have heard plenty of complaints about the expenses of electricity in the PI. I have considered when we buy property in the PI is looking into the cost / benefit of going solar power. Plenty of sun so I guess it would come down to the math. How much would it cost and how long until the cost justifies the price to have the system up and running and general maintenance of the system. Have you considered this option? Just curious as I am still trying to gather information for the future. I often wonder why electricity is so expensive here. Nearly half the bill is charges other than the actual electricity. It’s another example of lack of competition that hurts the consumer. Yes, Papa Duck, I, too, have looked at our bill and we also have a myriad of charges that are confusing and bewildering. Competition? That’s the key, but doubt that we will see it on our little island. We considered solar power on a limited scale at one time, Mike. Our brother-in-law Joery has a brother and sister who work for a solar panel company but we could not get any quotes for residential usage, only a business-related quote for panels which would cost 1 million pesos. Our monthly bill averages 3,000 pesos a month, around 65 US dollars. At this time, we don’t plan to go solar. We use a solar led light for brown outs and haven’t used the air con in our master bedroom yet. We try to conserve electricity as best as we can and may investigate the solar option again in the future. If we do, I’ll surely post that info on this website. Do some math and homework, Derek in pasig. Dave I just paid my power bill for last month. I paid online and my bill was under 40 dollars. SWEET. I still remember sitting outside Guimelco to pay my monthly bill as the locals gave their’s to friends or family ahead of me in line. My guess was their time was more valuable than mine. I just sat in line smiled at them. Even with the hassles I LOVED my Guimaras life. We all have to take the good with the bad sometimes. Rock on Big Dawg it will get better! Captain Tom, our bill back in Illinois used to be 80 bucks during the summer with central air going 24/7. The heating bill during the winter USED to be 125 a month but then shot up to over 400 bucks a month (we had an all-electric home) when our Interstate Commerce Commission gave our local utility company the go-ahead for a rate increase. I called Senator Durbin’s office to protest and wrote letters to no avail. I guess that’s another reason I’m not too concerned about the cost here. Captain, Jerry, our former caretaker, used to run the bill over for us. Now Melinda does it, but here’s the key: Melinda goes in the afternoon after 3 and there’s nary a crowd around. Me? I stay home just in case there is a long wait. Good to hear from you, Captain T.
I have been over there for the last 3 months, just got back to US a few days ago, although I did try to read your blogs when I could, (slow internet prevented it a lot of the time though) and making a comment was near impossible it seemed, but you didnt miss much as usual by me not commenting on articles though. I do like the Philippines, but the more time I spend there I also find new things that I dont like, I hope to never become one of the constantly complaining expats there, like so many are, but there are times things there just dont make sense to me. As I have seen Papa Duck mention in the past, the lack of practically any kind of competition there in almost all categories related to buying anything from electric to food to appliances to furniture, etc. just makes living there so expensive in so many ways. The few people and companies that own all the malls there have a monopoly on practically everything, and can set there prices as the choose, since small companies are almost non-existent to compete with all the big boys. Oh, the pool is looking great, hope you can find water to fill it once its done though, with the drought there it seems to be hitting many there very hard. We were mainly in Davao most of the time and having daily blackouts from 1-4 hours, but we bought a small generator after about a week of that so that helped a lot. I did sell the commercial property where I had my shop, but still have not sold the house and acreage yet, but have decided to just go on and move there this Fall anyway, I have a good friend that will be the house caretaker until it sells , just hope it will sometime this year. Have a great trip to Cebu and Bohol, or maybe you have already gone not sure when you were leaving. It’s ALWAYS good to hear from you Bill S and your comments are ALWAYS welcome. Didn’t know you were in the PH but sounds like you had a good visit. Congratulations on selling your commercial property and I’m sure the house and acreage will be next. Well, it seems almost foolish to be building a pool with our big water shortage but we’re hopeful the rainy season will alleviate this severe El Nino the Philippines has been experiencing. Nope, haven’t left yet but will take off in a couple of days. We’re meeting some good friends from Illinois and my asawa is looking forward to the Bohol trip. We’re also going to check out the new Seaside SM Mall in Cebu. And yes, you’re right about the lack of competition, Bill. The big boys do control the PH and with a constitution that does not allow foreign MAJORITY ownership in any business, I doubt that any meaningful competition is in the cards. That’s a good reason why the Philippines consistently lacks at the bottom of foreign investments in Southeast Asia. Dave, I found the history of the reasons for the high cost of electricity in the Philippines to be quite interesting. I’ve read about expats ordering their solar power supplies online from http://www.lazada.com.ph . A follow up article on how much you estimate it would cost to run your entire house purely on solar/wind power, or just run a minimum number of appliances/devices during brown outs, would likely be of interest to a number of your readers. Thanks for the story idea, Lance. I could check out some outlets while we visit Cebu in a couple of days and do some research after we get back. Solar will eventually be the key to electricity cost around the world and especially in the Philippines. It is something that is here to stay and in abundance that nothing else can touch. The key with solar being less expensive than it is now is people biting the bullet and going with it…plus government and manufacturer subsidies. My God! Let me give you an example. Look at the prices of HDTV’s today compared to just 10 years ago. Many people said they would NEVER get an HDTV because they cost too much. Now about every home in America has one because the cost has come down and the quality has gone up. Solar will also do two other things…get rid of our dependence around the world on oil from f’d up countries and substantially reduce carbon emissions. Well, Todd, we will be in Cebu for a week and I’ll have to check out what solar options are available to us. I know the States have subsidy programs available but don’t know if the Philippines offers us such an option. It’s been so humid the last two days that I’ve finally turned the air con on in our master bedroom. Right now, I can sit still and the sweat just pours off of my fat kano face. I’ve seen rechargeable solar fans here at reasonable prices, 3,000 pesos including the solar panel and battery. We will invest in a couple of those right off the bat and see what kind a deal we can get on solar panels.